Beautifully delicate tendrils displayed in all four corners give our Romantic Flourish response cards a uniquely elegant feel, while maintaining a simplicity that works wonderfully for a myriad of wedding themes. Customize with your favorite wedding font, or mix and match fonts for a truly one of a kind look and feel. 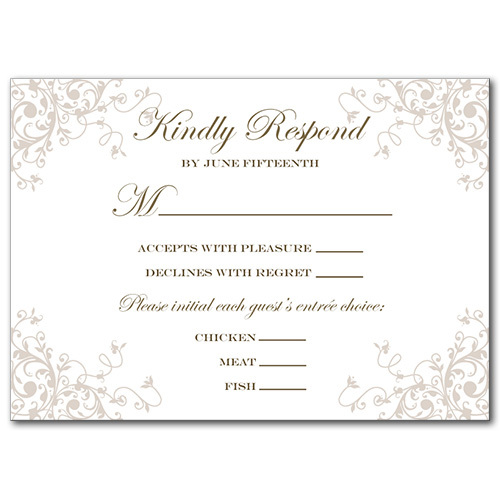 Romantic Flourish Response Card For the best experience, we recommend personalizing your stationery on a desktop computer.